They’ve started already – the ads for Christmas come earlier and earlier each year. I’m old enough to remember when we actually got through Thanksgiving before we started seeing and/or hearing Christmas stuff. 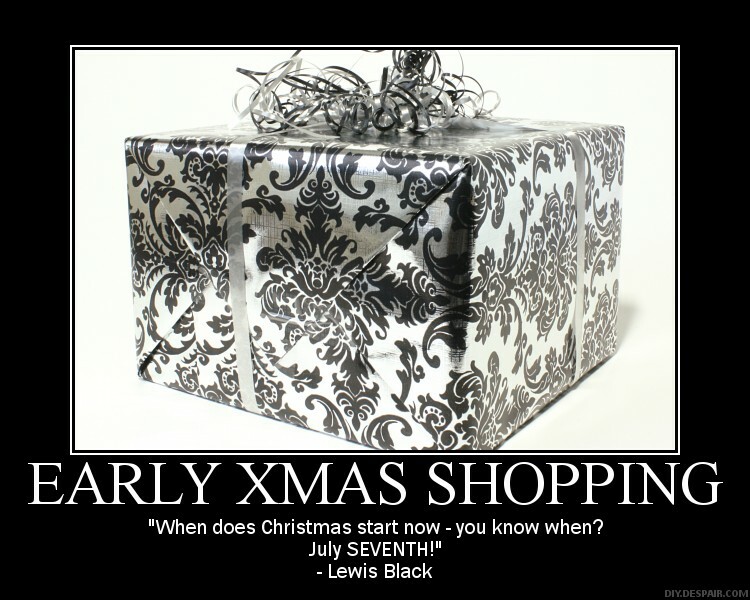 I may not always agree with Lewis Black’s political views, but when I heard this bit about Christmas years and years ago, I was laughing so hard that I was in tears. This entry was posted in Holidays, Humor, Just Because, Things That Make Me Crazy, Think about it and tagged Christmas, Lewis Black. Bookmark the permalink.